21st March. A day to celebrate every year. A time when I always miss my home, my colony, my city. I am a Parsi by birth and although my early ancestors must have been born in Persia (now Iran) before they fled their country to escape the invasion of the Arabs, I and most of my immediate ancestors were born in Bombay or Mumbai, India. 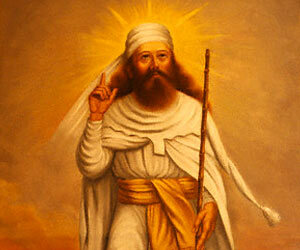 We are originally Zoroastrians but since we came from the Pars side of Iran, we began to be referred to as Parsis in India. Here we got shelter, protection and a right to continue to practice our religion. In return we became a part of their community adapting to their language, attire and culture but at the same time maintaining our own individuality. Our numbers grew as we thrived and prospered over the years, becoming one of the most literate and financially successful communities in Bombay, but we never forgot the reason for our survival and always gave back a share of our success to the society. Despite our illustrious past and continuing prosperity, our population started dwindling over the years for a variety of reasons. According to some estimates the current Parsi population in the world stands at a mere 100,000! But that doesn’t stop us from living life to the fullest and enjoying each day as it comes, specially the 3000 year old festival of spring equinox – Jamshedi Nav (new) roze (day). I can clearly remember a typical Navroze day. It is March 21 and though it isn’t a public holiday, it is a holiday in my school. 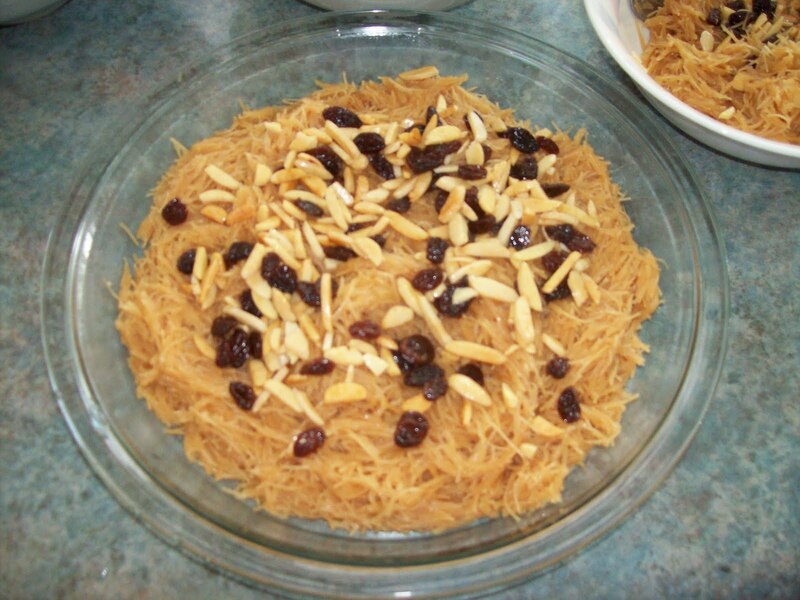 I wake up a bit later than usual with the sweet aroma of Mummy’s sev (vermicelli) filling my nostrils. New clothes and shoes have already been purchased over the last few days and the excitement of wearing them today makes me jump out of bed and into the shower! My mother has put a toran (garland of flowers) made with roses and lilies, outside our main entrance, while colorful chowk (rangoli) adorns our doorstep to bring us luck and happiness. My sister and I wear our new dresses and then sit down to have our traditional breakfast of sev with fried dry fruits and raisins sprinkled on the top, some people also add dahi (sweet curd) to it. We are now ready to go to the agiary (fire temple). My daddy and mummy are dressed in white clothes today, white being the symbolic colour of peace for us and traditionally worn in our place of worship. Today the agiary is a sea of white with so many people come to offers their prayers. The agiary looks beautiful decorated with flowers everywhere and a strong fragrance of sandalwood permeates through the walls. Since my father is quite well known in our community, people come forward to meet and greet him making me feel very important and proud! After doing our ‘kusti’ (sacred thread tied around the waist), we light the oil divo (lamp) and offer sandalwood to the sacred fire. By this time my cheeks are tired of smiling and wishing everyone a “Happy Navroze” or “Navroze Mubarak” and I can’t wait to leave the agiary and head for my most favourite part of the day. Our falooda treat! Every year as far as I can remember Daddy used to take us to this small Parsi-owned cafe called Fresh-up near our place, where we were treated to a delicious cold glass or two of falooda (A milk and rose syrup drink). Lunch is dhandar patio at home. This is a traditional dish made of yellow dal (lentils), white rice with spicy prawns gravy. The rest of the afternoon is quite relaxed. In the evening we go for a Parsi drama or straight for dinner, my father’s favourite haunts being the Golden Dragon restaurant at the Taj Mahal Hotel or China Garden in the later years. March 21, 1996 holds a different kind of significance. This is the day when I surrender myself, heart and soul to this handsome boy, who through his honesty and quiet determination has finally managed to crawl his way into my heart. And as we dance on the dance floor, eyes locked into each other, I know deep within that I have found my soul mate! March 21, 2004 – I am expecting my first child, the due date being given as end- March, I can’t stop hoping for a Navroze baby. I also drank castor oil the night before 21st as a final desperate attempt to get him out, but as the mighty Ahura Mazda would have it, my baby was born almost a week later on March 27. March 21, 2008 – Another chance to expect a Navroze baby! This time I was so sure about it that no castor oil attempts were made. But I guess it was just not to be. Not even on his elder brother’s birthday did he come. He wanted a separate, special day all for himself. My younger son was born on March 29. Every year on Jamshedi Navroze, I try hard to make the day a bit different from normal by replicating what I can from my own childhood, specially for my children who are so far away from their roots. Though it is not easy to bring about the same festive spirit, being a nuclear family in a foreign country, we’re still luckier than our counterparts in other countries, as we have a strong community of 200 families in Hong Kong. Zoroastrian House which has a prayer house facility with the sacred fire is visited by us quite often not only on religious ceremonies and celebrations but also for social dinners and outings which are organised by a core committee of individuals who also manage the Trust funds. The other big draw being the rich Parsi food which is much looked forward to and enjoyed by one and all! In fact the very first time when we moved to Hong Kong, it was this very group of individuals who had gone out of their way to make us feel welcome and very much ‘at home’. I think it is this home and community orientation, the core belief in good thoughts, good words and good deeds, the philosophy of returning back wealth to the society and having a positive outlook even in the time of adversity, that has ensured our survival for the last 3000 years and will continue to take care of our future generations. Wish all my family and friends a very Happy Navroze! Happiness, peace and prosperity to all. I am submitting this article as part of ABC Wednesday – Round 11, Letter N project. To know more or to participate visit http://abcwednesday-mrsnesbitt.blogspot.hk/. Hi Mehroo, its so good to connect with you after so long. Your words reflect the thoughts of most Zarathustis. It's really good to know that even after being in a foreign land, you are close to your roots. God bless you and your wonderful family. Hi Yasmin, yes feels so good to get in touch with you. Thank you for your very first comment on my blog, so nice of you to write such wonderful compliments….hope many more are to come. Will touch base with you on fb soon! Hi Diana, yes that pic made my mouth water too…been missing it since a long time now and this time I have promised myself to get the ingredients from Mumbai when I go there this summer. Thank you so much for your comment. Being a fellow blogger you would know how invaluable they are! Happy Navroze to you, though belated! Those memories are all thanks to my parents I must say. While doing something different is exciting, sometimes doing the same thing on the same day year after year makes the memory more cherished than ever! 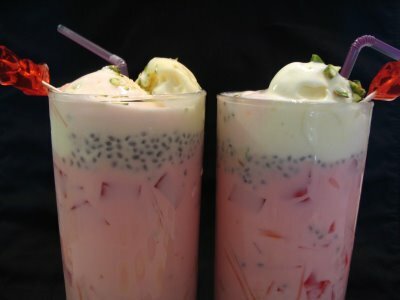 These pics of falooda makes me drool everytime too! Lovely Mehroo, reading your blog brought back such wonderful memories…………… !! n u have summed it up so well… superb…. I don't remember taking a day off when I was working, but I would wear something new and nice and would go and tell everyone what the occasion was and then ask them to wish me! Hi Zeenia, Thank you so much for your very first comment ON my blog itself. Yes life is all about memories and more so since we stay away from our home town. In fact I just ordered a dozen alphonso mangoes right now when I was talking to the Indian shop, doubt if I would have bought mangoes this soon in India! Dear Mehroo, as always your words touch the heart, wonderful compilation of memories and the Parsi history! I had studied in a Parsi school from std.IV to std.X so I know how simple, wonderful and talented the Parsi people are. May your tribe increase by leaps and bounds! Oh and a Belated Navroze Mubarak to you and your family! I didn't know you were in a Parsi school! Do you most of my friends who went with me to my Parsi school could speak fluent Gujarati and recite our prayers by heart! They were more Parsi than other Parsis and growing up we did not care or feel any different about our religion and race just like all kids do! Thanks for your good wishes. this is a wonderful bit of history, personal recollection and religious education! I so enjoyed reading your post! Thanks for visiting me, too. Looking forward to more of your writing! Thank you for visiting my blog Richies, I must get around to visiting yours too! Thank you for your good wishes Carver and welcome to my blog, hope you find other articles interesting too. Thanks Leslie, it is such a nice feeling when someone compliments your writing so thank you and I will find the time to visit yours too! Thank you Roger. I just happened to stumble upon ABC Wednesday through a co-blogger's site, I am impressed with the number of comments I have already received for this post and look forward to sharing more with you and your team. It is a great platform for newbies like me and I intend to read other people's blogs too soon. Thanks again. I am a devoted fan of your writing and truly enjoy every word you have to say about the past present and all your adventures and small bits about your DAD fills my eyes with tears as I remember those great day we enjoyed with your fun loving father he would be so proud of you and all your adventures would be talked about on our railing where your Dad had paid to have a bench fitted with his Dad’s name I hope the bench is still there if that bench could talk or write a Bog it would be a best seller as it would have loads of laughs tons of fighting and bad language untold romance’s and drug smoking and last but not the least love and regards for each other and I forgot one more thing, huge amount of auto racing of every type. GOD what days, we lived in Heaven. Every thing died with JAL MISTRY for he had a quick call from HEAVEN. Now your comment made me laugh Rohinton uncle! Imagine a bench being able to talk! I’ve already thought of the caption – Bench su Bolech? thank you for holding a special place for my father in your heart, I am sure he must be hearing all this siting up there in heaven!